Mission: The Sally and Don Lucas Artists Residency Program (LAP) is designed to offer artists from a range of disciplines an environment conducive to individual and collaborative creative practice. Seeking to stimulate an energetic exchange of ideas between culturally diverse Fellows and across varied artistic fields and scholarly disciplines, the residency has earned international recognition as a model of curatorial practice supporting the development of new and challenging contemporary work. Cost: Lucas Fellows are identified through an international nomination process that ensures support for highly qualified artists who have the potential to become major voices in the next generation of creative thinkers. The residency also seeks to support under-served artists who might not find their way into a residency program. Nominated artists are invited to apply for a Fellowship; all applicants are then juried by professionals in their respective fields. Selected artists are offered a 1-3 month Fellowship. 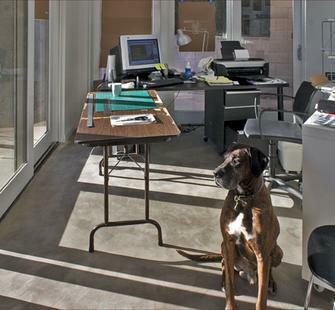 Accommodations: 2004 celebrated the opening of the Sally and Don Lucas Artists Residency Program facility. The 10 LEED certified, discipline-specific live/work studios and commons buildings were designed by six unique teams of architects in collaboration with contemporary artists. Each studio is wireless, and the residency has tools, technology, and production equipment available for visiting artists as needed. While at Montalvo, Lucas Fellows are granted time for solitary exploration, creation, research and contemplation, as well as the opportunity to engage with fellow residents, colleagues, and the wider community of Silicon Valley. The Program’s international focus fosters a rich cultural and ethnic diversity that supports a variety of perspectives within a global framework. Evening dinners, created by the resident Culinary Artist, provide artists opportunities to participate in stimulating conversations, exchange of ideas, and develop collaborative partnerships that extend beyond the residency. Studios 20 & 21: Daniel Solomon’s two composer/musician studios are self-contained units, which isolate sound from the environment. The studios are nestled into the hillside, which act as a natural sound barrier. Portable screens will be placed between the composing and sleeping areas. One side of the screen is sound-reflective while the other is sound -absorptive. In this way, the composer can make adjustments in the reverberation of the room; in essence, tuning the composing room to her/his specific needs. Studios 30 & 31: Lee Breuer’s “Death in Venice” and “Sister Suzy Cinema” provided a rough framework for this pair of writers cottages. Like two characters from two plays by the same hand, these cottages are sympathetic yet contrary, disciplined yet laid back, orthodox yet radical. They are designed to provide resident writers a palette of experiences to complement their need for the right place to work. 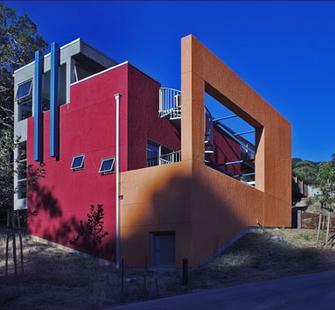 Studios 40 & 41: Mack and Ireland used the “pinwheel” house designed in 1954 by Peter Blake in collaboration with Jackson Pollack as a jumping off point for their collaboration on two visual artists’ live/work spaces. Each with its own signature stylistic qualities, the two studios compliment one another. Artist and architect established the sizing of the building and its spaces to create a comfortable environment for the visiting artists. Studios 50 & 51: Jim Jennings’ writer’s studio was composed with attention to an idea of beauty defined throughout Milosz’s poetry. According to Milosz, beauty and clarity are found through careful attention to the articulation of volumes and spatial experience. The entire structure is cut into the side of the slope, berming earth to one side and allowing it to slope away from the other. Studios 60 & 61: Adèle Naudé Santos and Doug Hollis decided that it was important to design the visual artists’ studios with separate living and working spaces to prevent unnecessary fumes from entering the live space. Each space has a singularly different character. The workspace is more introverted, with the roof curving down, while the live space is more extroverted and view oriented, with the curve of the roof opening to the sky. 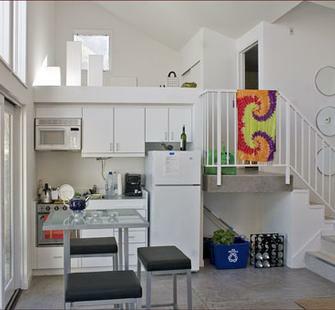 The two spaces are visually connected via a diagonal view across a connecting terrace. Demographic/Medium: Residencies are offered in all contemporary artistic disciplines including the visual arts, design, literary arts, film, choreography, performance art, music and composition, and teaching artists. The LAP welcomes artist’s collaborators from overlapping fields, including science, technology, and other scholarly research. The Program is the first in the United States to offer an annual Culinary Artist Residency. Benefits: Lucas Fellows enjoy unique access to the resources of the Arts Center, enabling them to present their work to Silicon Valley and Bay Area audiences. Engagement with the general public is encouraged both formally and informally. 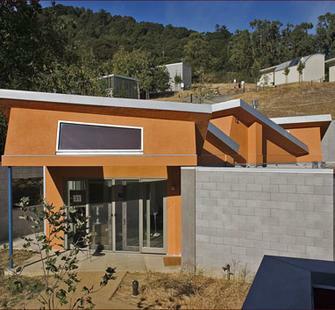 Montalvo Arts Center offers an annual thematic arts program developed through the LAP. Current and past Lucas Fellows are invited to respond to the annual theme through exhibitions in Montalvo’s Project Space Gallery and Art on the Grounds program, New Directions performance series, In Conversation literary events, Final Fridays public presentations, as well as screenings, workshops and outreach. Often these opportunities take the form of newly commissioned works and projects that engage both Montalvo’s natural and built environments as well as its diverse communities. On the last Friday of each month, Montalvo offers the public a sneak peek into the LAP as one Lucas Fellow presents his or her creative process and work through conversations, lectures, performances, or demonstrations. These presentations allow artists an opportunity to reflect on their practice. Deadline: Nominated artists are invited to apply for a Fellowship; all applicants are then juried by professionals in their respective fields. Posted in California, Montalvo Arts CenterTagged Architects, Architecture, Art, Art on the Grounds, Artist, Artist Residency, artist studios, artists, Arts Center, Berkeley, California, challenging, choreography, Collaborative, collaborative partnerships, composer, composition, contemplation, contemporary artists, contemporary work, conversations, creation, creative, creative practice, Culinary Artist, Culinary Artist Residency, curatorial practice, design, Dr. Stephen Pepper, energetic exchange of ideas, Evening dinners, exchange ideas, Fellowship, Film, Final Fridays, Gallery, In Conversation, individual, LEED certified, Literature, live/work, lterary arts, Lucas Fellows, Montalvo, Music, musician, New Directions, no application fee, nomination, outreach, performance art, presentations, Project Space Gallery, public, public park, research, San Francisco Art Association, Saratoga, scholarly research, Science, screenings, Senator James D. Phelan, Silicon Valley, solitary exploration, Studios, teaching artists, technology, The Sally and Don Lucas Artists Residency Program, University of California, visual artists, workshops, WritersBookmark the permalink.